Is this a bug? 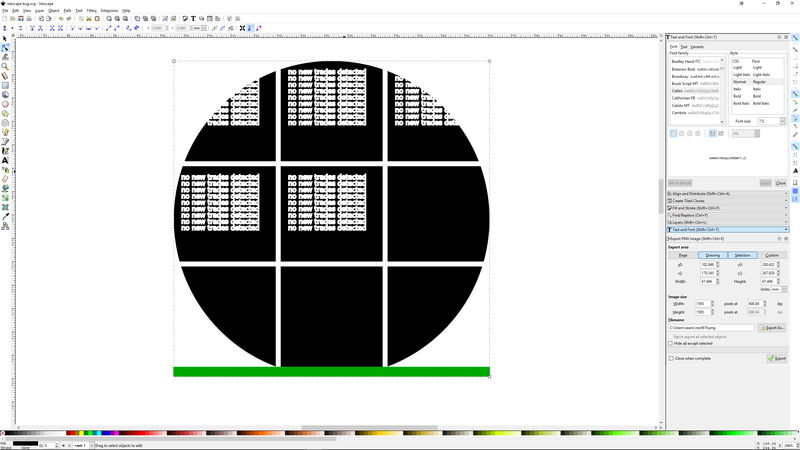 When I open a file I started some time ago, created using version 0.92.2 (problem still occurs when opening file in version .3), the object I expect to look like a square looks like a circle. If you look at the position of the circular handle, it says it should be a square. If I move the handle, it confirms that it should be a square. The x-axis rounding handle is at 265... entering 0 in the control will square it up, or the button at the end of the controls will set both controls to zero. There are actually two rounding handles, one for x, one for y. I'm not sure how the value for x got so big, but that's why the x rounding handle can't be seen. No, I was asking about yours, druban... Have you ever made a mistake? I thought TD had suggested changing the Rx value from 265 to zero. I was only adding a note that there's a button which automatically reverts both Rx and Ry to zero, so that you don't have to change the value, only click the button. I put in parentheses to emphasize that it's hardly worth mentioning. But I mentioned it, as I said, just for thoroughness. There are many cases in Inkscape, where there is more than one way to do something. Mentioning a 2nd or 3rd or 4th way to approach a problem (which happens more often than not, in this forum) does not detract from the previously mentioned ways. Letting people know about all the different ways allows them to choose what works best for their own style or workflow. Mistakes can be easily edited, corrected, deleted, acknowledged or ignored, so it's fine to leave it as it is. Oh, I see. Actually I did make a mistake. I apologize.